A payment gateway on an eCommerce website is experiencing a revolutionary twist with a lot of dynamism and competition checking in every day. The payment processing bond is becoming more efficient, secure, effective, and reliable as part of what the modern trading demands. Bank transfer and checks are being replaced. Today, there is no doubt PayPal is one of the household brands in the market. It has its own share of benefits having penetrated the market for long while enhancing its brand. But does that mean it’s the only ultimate choice? Not, at all. It turns out PayPal isn’t perfect either. It has its own share of drawbacks. This is why the online space is providing you a lot better and viable options than PayPal; the alternatives. Before we go further, let’s look at a few tips and why you need the substitutes including what could be your best PayPal alternative. By the time we are through, you could be in for an informed choice. Firstly, despite the fact that charges for various types of transactions will vary depending on the payment method used and one’s own preferences, after some research, I discovered PayPal charges are still on the higher end. This is the case when large amounts of money are involved or doing international payments coupled with extra charges due to exchange rates. Other substitutes are way cheaper to help you control effectively your cash flow by reducing costs. Secondly, PayPal restricts millions from carrying out payments across the globe today by enforcing country-based restrictions in some areas, like Pakistan, Bangladesh, Zimbabwe, Western Balkans, North Korea, and Liberia among others. This is because, in part, due to the fact that these clients simply might not be able to use PayPal for some regional inherent reasons or they actually don’t have the accounting systems that support PayPal. Others find it not a great experience or it’s just complicated. Thirdly, sometimes, PayPal can hold your payments, while under review, without an effective reason communicated. It could be a prudent idea not to put all your eggs in just one basket. PayPal is known is blocking accounts, for some reasons. This could mean you can’t receive or make payments neither access your funds at the time unless unblocked. This might put you in a susceptible situation. Hence, having an alternative payment is being a step ahead. • Luckily enough, the substitutes available today are offering you competitive rates to boost your online business and budget. • If you own a business enterprise, it is imperative to take a keen analysis of a payment gateway that provides amicable financial solutions. Cost-cutting and security are crucial for a good balance sheet. Join me in this analysis step by step on what other alternatives you are missing out. What are their merits and demerits? How do they outdo PayPal in providing you that extra edge you need in the modern world of e-commerce? And what rest is in for you. Remember, the order might not necessarily place any kind of superiority over any other payment gateway simply because; your tastes and preferences on what suits you best are primary. 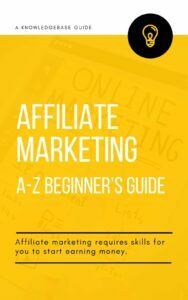 Are you a freelancer, affiliate marketer or any other professional regularly sending, receiving or executing payments online from other countries? Payoneer payment gateway could be what exactly you need. It allows you to move money from your account smoothly to any Payoneer user. Through the Payoneer API system, businesses are able to power secure and cost-effective cross-border payments anywhere in the world very fast. This is one of the most outstanding online payment platforms to use in processing any of your international transactions. It provides users with two payment methods to receive funds; through the local bank transfer or using the global transfers. Furthermore, one can use the Payoneer reloadable credit card in effecting online transactions. I like the idea it allows one to receive payments from any part of this world. It is widely available in 200 countries. Additionally, it also commands wide acceptance. It processes transactions in 150 currencies today. Payoneer is a great option for those with a high volume of transactions and they provide a virtual account in the international market space that is easy to process. Excitingly, if you are doing dealings within the US, the dollar attracts only a 1 % fee. Credit card processing accounts for a fee slightly higher than 3 %. According to the Payoneer website, you can also earn high commissions and add impetus to your business growth by helping to promote Payoneer low-cost solutions to prospective clients. This can be achieved easily by sharing unique sign up links on social media platforms including emails. You get paid for every new customer who signs up through your link. They relatively charge high costs when renting a credit card. It is also important to note, their transfer fees are dependent on the country you exist in plus the currency in use for processing any transaction. Expect some extra charges while using the Payoneer credit card through the Automated teller machines. If you live in India, unfortunately, they still don’t offer their services in your country. All of us will give Google its share of respect when it comes to technology solutions. That is not so different when it comes to their offer of a payment gateway. Google itself is a trusted and dependable brand today among its clients, even from the services associated with its affiliate products. They provide you the google wallet, a new way of sending, receiving and executing payments online. One aspect that stands out with this substitute is that it is simple to use and effective in functionality. I like due to the fact that, this is a free method that accepts your payments without charging any kind of fees. Yes, you heard that. But to honest, I need to give its pros and cons as well. You don’t need to provide intricate information or too much of the details on behalf of the third party doing the payment. This makes it less of a burden in carrying out transactions. Before payment, they provide an option for a web or mobile-based applications that capture a few important security details and you are good to go. You only need to provide an email address. I like their transfer process because it is smooth and all-in-one without the burden of involving necessarily a third party. Additionally, their systems are efficiently automated boasting round-the-clock fraud detection system plus purchase protection. You have the convenience of using the Google online wallet to store debit cards, loyalty cards, and gift cards plus much more. This can equally be helpful to send and receive or accept payments online from your family members, friends including carrying out payments through bank accounts, credit or debit cards. The system is well integrated with the Google account for users and you can use google wallet through the Google play store to buy products in a span of over 125 countries. Unfortunately to transfer money or shop in stores using the google wallet is only available in the US today. Besides, it still commands less acceptability compared to key players like PayPal. You are required to pay standard transfer charges while using your credit/debit card to move money to your Google digital wallet. Despite this, Google is an e-commerce payment gateway to watch if it keeps expanding its acceptance by uniquely fixing its weaknesses. Skrill, formerly known as Moneybookers, is another fast-rising substitute to PayPal. It enables users to send and receive money including the convenience to do shopping while online. As a registered user, you can send to a specific email identification owned by another skrill user. Additionally, you also have the capability to make withdrawals using your debit/credit card or bank account among other acceptable options. It is one of the most instantaneous payment alternatives when making withdrawals from your online account to the bank account of the recipient. The gateway is fast and secure. You will find their merchant fees are significantly less compared to what PayPal charges.in case you want extra information about their charges; they have provided all this on their website, which you can quickly check out. Unlike Google wallet, Skrillis available anywhere in the world with the support of over 200 countries including the US and the capability to use Skrill in 40 currencies. They provide a high level of security to the payment gateway and it is widely accepted. Provides you the convenience of using your money in the Skrill account to buy any products and services of your choice in real life situations. They command a huge clientele base due to their low transaction fees. Skrill takes away only one commission of money sent but also the maximum commission has been capped at ten Euros. If you use the SWIFT Transfer method, you will enjoy almost free charges transferring money from your bank to Skrill. Credit/debit cards attract only standard charges. Most of give credit to Amazon for its competitive line when it comes to marketing but it is also enhancing the online business space runs. This is evident in their payment gateway commonly known as the Amazon payments. But they are still in the process to upgrade it into widely successful payment method, just like other players. It offers various services that allow merchants to process electronic payments; the checkout by Amazon and Amazon simple pay. The checkout by Amazon borrows a lot from Paypal for that competitive edge. It is suited for e-commerce and allows acceptance of payments online. All these are fully integrated processes. Amazon simple pay is dedicated to online businesses that sell virtual and mostly digital products. This implies any business in the line of the products is able to accept subscription payments while making it possible for market-style transactions to take place. Their platform accommodates a huge clientele base globally to save time and money through cost-efficient transactions. They have a very responsive support team that helps in availing information quickly to the payment gateway users. They boast a reliable brand with the seasoned associates like Google in the industry, earning more trust. Their payments are processed at the click of a button. The use of Amazon simple pay or checkpoint by Amazon ensures a customer’s website is maintained, unlike PayPal which directs customers to the PayPal site to complete a transaction. Amazon charges a standard fee of 2.9 plus a $0.30 in every transaction but this amount is bound to decrease if your monthly volume of transactions continues to increase. This is the same case for a special transaction rate of 5 % plus $0.05 sales volume under $10. When making payments on international transactions, they just charge a fee of 3.9% plus a 30 percent commission on every transaction. This is significantly higher when compared to the US fee of 2.9 % plus a 30 percent commission per a single transaction. It offers one of the largest and fast growing competitors for PayPal. It also provides a simple user-friendly integrated interface that facilitates payment integration and quick transfers to your bank account. I hope by this time you realize so many reasons and benefits that you could not be enjoying at PayPal. The payment processor bond is emerging fast with many attractive offers expected even into the future for the clientele. 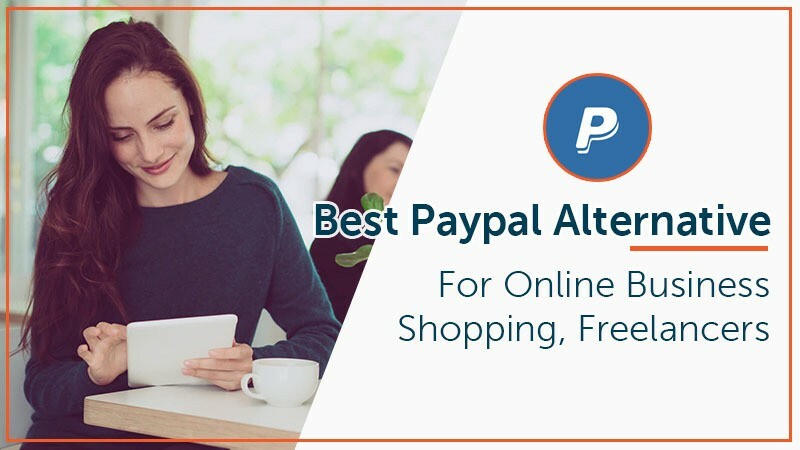 Focus on your objective, financial goals of carrying your business transactions as part of the decisive factor to settle on the best PayPal alternative. Good business is an effective strategy. Thank you for this professional comparison. I used most of them, but from now on I really appreciate the payment gateway G2A PAY. I do not know anyone who has such a quick integration, so I can recommend them with a clear conscience, especially since they offer many solutions to facilitate transaction control.